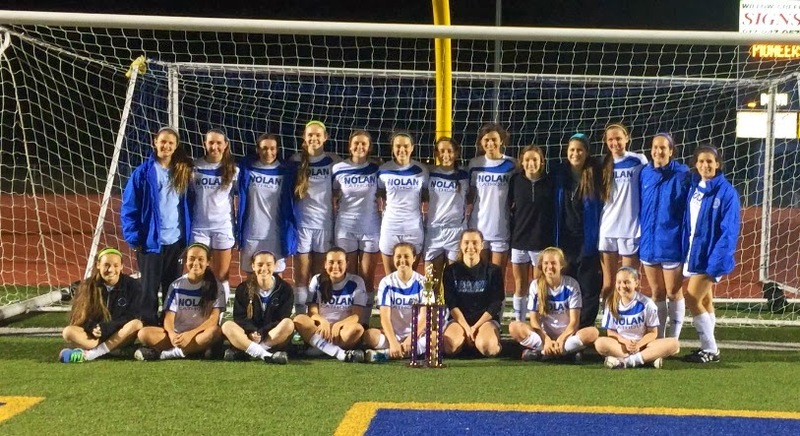 The Lady Vikings Soccer team traveled to TCA for a 4:00pm kick-off today and returned home victorious. Improving to 16-1-5 on the season, eight Lady Vikings contributed in the 7-0 win. Jordan Gamboa got the first goal, her 15th of the season. Gwennie Puente scored goals 2, 3, 4, and 6 while Elizabeth Havenhill and Brennan Flynn scored their first's of the season. Katy Hirschfeld had 2 helpers while sisters, Madeline and Marisa Rodenbaugh each had one of their own. Flynn and Gamboa each added an assist to their goals. LVS head coach, Jay Fitzgerald said, "Character was tested today and we passed; the soccer was quality, we were in good spots early and often." There were 21 players that contributed to tonight's win that moved the Lady Vikings to 7-1-0 in TAPPS 1-5A district play. The Lady Vikings get more results tonight as the JV gets a 1-0 win over Byron Nelson and the Varsity scores 2 in the second half to draw 2-2. Rebecca Traynor scored the winner for the JV with 18 to play in the 1st half and Gabbie Puente and Kate Kleiser each get a goal to keep the Lady Vikings unbeaten during the New Year. "There are moments when your goal is to win and their are those teachable moments, and tonight we learned a lot and we got a result," said LVS head coach, Jay Fitzgerald. The group has the ability to find a way to get a result. The JV is now 9-2-1 and the varsity is 15-1-5. With a total of 43 players in the program, the depth of the program is solid. Fitzgerald said, "All the players in our program tend to raise the bar every week." 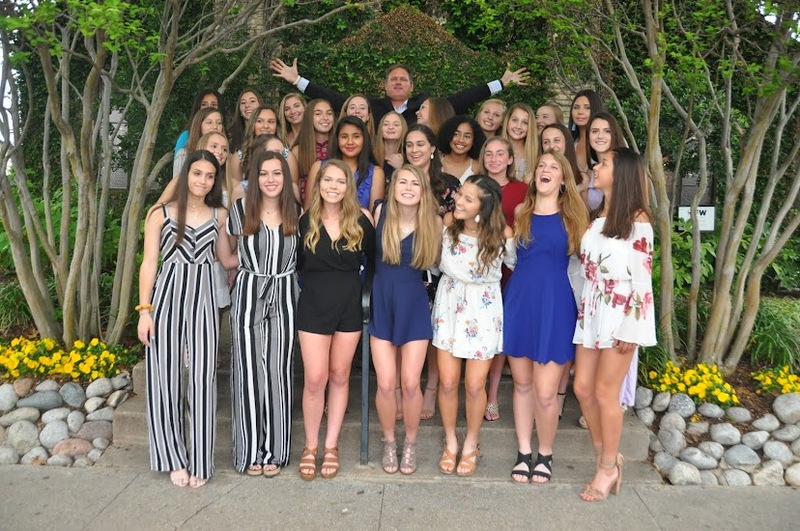 Due to Bishop-Elect Michael Olson's Mass of Ordination and Installation, the Lady Vikings will have no school tomorrow but will come back fresh on Thursday as they travel to TCA for a 4pm varsity kick-off. There will be no JV game as TCA did not form a JV team. 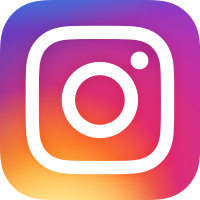 Several LVS players will serve as ambassadors during the Mass of Ordination; those include Emma Birbeck, Jordan Gamboa, Regan Hafer, Madeline Wiche, and Kate Kleiser. The home matches tonight vs Byron Nelson have been moved to earlier start times. The JV will kickoff at 4:00pm and the varsity will follow at 5:30pm. The JV will meet in locker room at 2:30pm and the varsity will meet in the locker room at 4:00pm. The Lady Vikings are used to playing in subfreezing temperatures and tonight's 1-0 district win over John Paul was no different. Doskocil Stadium has been good to the Lady Vikings this year as they remain unbeaten at home. "We set the tone early tonight and applied the right pressure at the right time," commented LVS head coach, Jay Fitzgerald. "John Paul is a good team but we were able to put the ball in the right spots to get the goal we needed. A district win, a shutout for that matter, is always good," Fitzgerald said. Gabbie Puente took a nice little one/two from her sister Gwennie and got herself in behind putting the Lady Vikings on the board, which proved to be the only goal of the night. The goal was the first of Puente's (Gabbie) season. 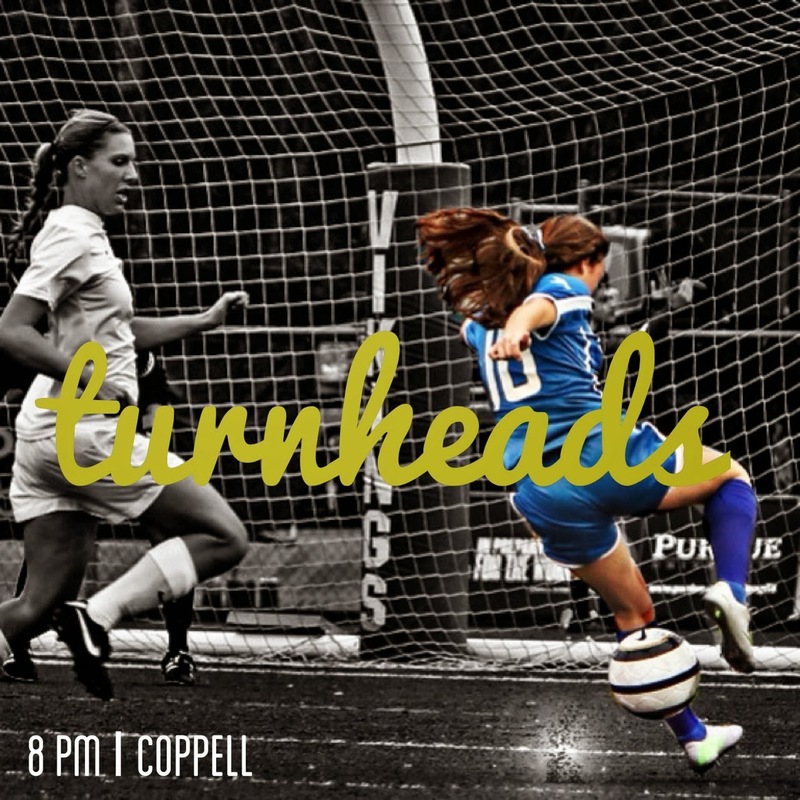 The Lady Vikings take on Byron Nelson tomorrow night and then TCA on Thursday. The JV will kick-off the night tomorrow at 5:30pm with the varsity following up at 7:15pm. The game on Thursday will begin at 4:00pm in Addison. The Lady Vikings defeat Chisholm Trail earlier today to earn a trip to the championship against Boswell High School. Jordan Gamboa and Gwennie Puente each score 2 in the earlier match while Erin Hippert added 1 of her own. After a trip to Eagle Mountain Lake for a pre-game meal before the championship the Lady Vikings headed to Boswell High School to take on the Lady Pioneers. Gamboa got the Vikings on the board, Puente added one more and Gamboa took over from there and completed the hat trick. The Lady Vikings defeated Boswell by a score of 4-0 and improve to 14-1-4 on the season. The varsity team earned a trip to the championship match at Boswell High School at 5:30pm tonight. Opponent TBA. The Varsity will take on Chisholm Trail tomorrow at 11:30am for a chance to play in the final of the EMS X-Town Shootout. That match would take place at Boswell High School at 5:30pm. The JV will play their final match of the Northwest ISD JV Tournament against Colleyville Heritage at 12pm at Texan Field. EMS X-Town Shootout continues for the variety as they take on Diamond Hill today at 4:00pm at Chisholm Trail HS Ranger Stadium. The JV, however, get their tournament started against Plano West at 2:30pm at Northwest HS Texan Field and again at 7:10pm against McKinney Boyd. 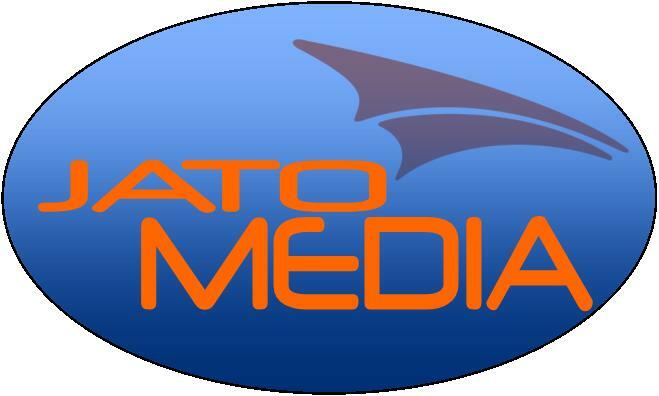 Click on "Weekly Schedule" to the right for daily details and directions. The opening match for the EMS X-Town Shootout started out just 6 seconds into the match for the Lady Vikings as Katy Hirschfeld sent a ball to Gwennie Puente out wide and before you could blink, it was 1-0, Lady Vikings. The temperature hoovered around 20 degrees during the match. Nolan Catholic's only option to stay warm was to keep the pressure on. They built a 4-0 halftime lead as Puente added 2 more and Jordan Gamboa with another. With a 30 mph wind in their face and the temperature continuing to drop, the second half started for the Lady Vikings and they were able to pick off where they left off, adding constant pressure on Haltom. "The conditions today were brutal and our ladies played with poise, patience, and pace," said LVS head coach, Jay Fitzgerald. The Lady Vikings set the tone for the tournament with a 5-0 win improving their record to 11-1-4. They will take on Diamond Hill tomorrow at 4:00pm. All other games today we cancelled due to the failing temperatures and will be played in the morning. The JV soccer team will take on Plano West in their opening round match in the Northwest High School JV Tournament. That match was originally schedule for 1:30pm but has been moved a hour later to kick-off at 2:30pm. Their 2nd match of the day will start 20 minutes earlier and kick-off at 7:10pm against McKinney Boyd. Both matches are at Northwest High School's, Texan Field, and will consist of 25 minute halves. The JV game vs Plano West in tomorrow's Northwest HS JV Tournament has been moved an hour later to 2:30pm. The second game will be at 7:10pm against McKinney Boyd. See "weekly schedule" for departure details. The varsity and JV squads will compete in tournaments this week; a first time appearance for both teams in each event. 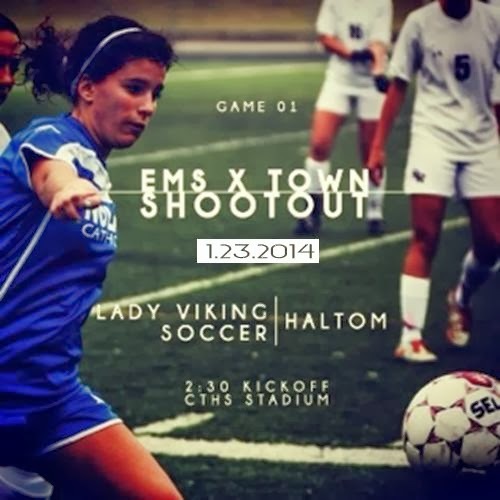 The EMS X-Town Tournament hosted by the Eagle Mountain-Saginaw ISD begins tomorrow at 2:30pm with the Lady Vikings taking on Haltom High School at Ranger Stadium at Chisholm Trail High School. Each team will play three matches that consist of two 30 minute periods and a 10 minute halftime. The championship match will consist of two 40 minute periods and a 10 minute half. IMPORTANT NOTE FOR FANS....Visitor’s stands will be closed. All teams will set up on the visitor side of the stadium and all spectators will sit in the home side stands. 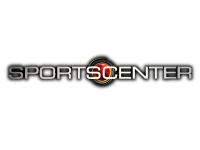 Games will be scored on a traditional 10 point system. 6 for the win, 1 point for each goal scored up to 3, 1 point for the shutout. Ties will receive 1 point. A tie ends in a tie except in the championship match. A tie in the championship match will be scored as a tie on the overall record but will move to traditional Penalty Kicks in order to determine the champion. There will be three pools of teams. Each pool will play their matches at one of the three high school campuses. The two teams with the most points will advance to the championship match. The next two teams with the most points will play for third place at a different site. Meanwhile, the JV gets started with their tournament on Friday as they play 2 matches, kicking off at 1:30pm against Plano West at Texan Field at Northwest High School. They will play McKinney Boyd later on that night at 7:30pm at Texan Field as well. All games will be played at Northwest ISD Athletic Complex. The tournament participants will be divided into two divisions and will compete within their pools, utilizing a 10-point scoring system to determine the final rankings. The tournament participants and schedule have been included on separate pages. Each pool game will consist of two 30-minute halves with a 5-minute halftime. There will be no overtime or shoot-out procedures. For the final games on Saturday, the two pool winners from each division will play for the tournament championships. Final games will consist of two 35-minute halves with a 10-minute halftime. In the event of a tie in the final games, the champions will be decided by penalty kicks. In the event of a tie after the completion of pool play, place will be decided based upon the following tie-breakers: 1. Head-to-Head, 2. Goals Allowed (total), 3. Goals Scored (total), 4. Goal Differential (total), 5. Coin Flip. The JV and Varsity soccer teams hit the road tonight and returned home winners. The JV took on the varsity team from Pantego. With goals from Rebecca Traynor, Madeline Wiche, and Marisa Baldasti they improved to 8-0-0 on the season as they defeated the Lady Panthers by a score of 3-1. The varsity took the road as well for their 6th district match of the season. Hats off to Jordan Gamboa as she recorded her first career hat trick. She got the Lady Vikings on the board on an assist from Katy Hirschfeld. Sarah Brown bent one in off a corner and added her second of the game off a well timed run across the box from a Hirschfeld delivery. Gamboa got the next two goals to max out the scoring. Marissa Rodenbaugh and Shannon Migliacco were credited with the assists on Gamboa's last two goals. The varsity improves to 10-1-4 overall and 5-1-0 in district play. The varsity is back in action on Thursday in the EMS X-Town Tournament at Chishom Trail High School's Ranger Stadium as they take on Haltom at 2:30pm. The JV are in the NISD JV Tournament starting on Friday as they take on Plano West at 1:30pm and McKinney Boyd at 7:30pm. Both games are at Texan Field on campus of Northwest High School. The Lady Vikings soccer teams remains unbeaten in 2014 after going through the National Elite Prep Showcase and the Allison Horn Memorial Showcase without a loss, highlighted by handing the #5 team in the nation a 2-0 loss. With a #6 ranking in the state of Texas, the Nolan Catholic Women's Soccer team has now moved into the nation's Top 30. The Lady Vikings will continue district play tonight against Bishop Dunne. The match was moved from yesterday and the time moved up to a 4:00pm kick-off at Bishop Dunne. The JV will take on the varsity team from Pantego at the Harold Patterson Soccer Complex Field F at 4:30pm. Starting on Thursday, the Lady Vikings will compete in the EMS X-Town Tournament while the JV team will take on Plano West, McKinney Boyd, and Colleyville Heritage in the NISD JV Invitational starting on Friday. The Lady Vikings finished their 3rd game of the Allison Horn Memorial Showcase this morning with a 2-2 draw improving their record to 9-1-4, unbeaten in the last two showcases. Katy Hirschfeld and Elena Guerra scored the 2 goals for the Lady Vikings today against, host, Colleyville Heritage. Guerra narrowly missed out on the game-winner on a pass across the box from Jordan Gamboa but wasn't able to convert. "The environment these girls have been around the last 2 weeks is absolute quality, not too many high schools get this type of competition," LVS head coach, Jay Fitzgerald commented. He went on to say, "They have grown so much in just the last 2 weeks." The Lady Vikings will travel to Bishop Dunne for a district game on Tuesday at 4pm before competing in the EMS X-Town Shootout hosted by the Eagle Mountain Lake School District. That begins on Thursday as the Lady Vikings match up with Haltom at 2:30pm. The JV will find themselves back on the field as well, after a bye week, as they compete in the NISD JV Shootout and will play Plano West, McKinney Boyd, and Colleyville Heritage. The Lady Vikings played to a 2-2 draw last night on goals by Gwennie Puente and Regan Hafer. A win today against Colleyville Heritage could ink another trip to the final against either Allen or Martin. "We love where we are as a program right now," Nolan Catholic head coach, Jay Fitzgerald explained. The Lady Vikings take on Colleyville Heritage at 9am at Colleyville Heritage; with a win and some help, they would be right back at Mustang-Panther at 5pm in the championship match. The Coppell Cowgirls and the Nolan Catholic Lady Vikings battled to a 1-1 draw to open the Allison Horn Memorial Showcase on Thursday night. The game saw end to end action with both teams getting chances but mostly half chances. "The pace of the game was impressive. It started out like no one wanted to make a mistake and as the game got older, it got very good, " commented Lady Vikings head coach, Jay Fitzgerald. Neither team could get a true chance, with the exception of some corners. As the night went on, the game got faster and faster. Players were gritting through it. Tackles were getting harder and players were competing at the highest level for every possession. Nolan Catholic who sits at #34 in the country was chipping away at the Coppell backline but just couldn't get a clean shot. But it was the Cowgirls, in the 65th minute, the nations #13 team, that caught a break. They were able to capitalize on a penalty kick, converted by NEPS (National Elite Prep Showcase) MVP, Sarah King, who has scored in every one of Coppell's matches. The Lady Vikings who have been very resilient all year kept moving, tired legs an all. Fitzgerald told his team, "keep moving your feet." And that is what they did and finally broke free on a Gabbie Puente free kick finished off by Emily Keoughan, her 7th goal of the year. With the clock stopped at 48 seconds, that goal crossed the line in the 80th minute and the 2 nationally respected teams ended in a 1-1 draw. The Lady Vikings improve to 9-1-2 and will take on Lewisville tomorrow at 8:00pm at Mustang-Panther Stadium, while Coppell will take on Colleyville Heritage at 6:00pm. Pool A consists of Allen, Martin, Nimitz, and Keller Central and Pool B consists of Coppell, Lewisville, Colleyville Heritage, and Nolan Catholic. Each team plays each other in their pool and the winner of each pool will play for the championship on Saturday at 5:00pm at Mustang-Panther Stadium. The Lady Vikings played their 5th district game last night which marked their 5th game in 5 days. Gwennie Puente and Katy Hirschfeld lead the way in the Lady Vikings 2-1 win over Liberty Christian. With about 80% of the possession in the first half, 2 goals were all the Lady Vikings needed to improve to 4-1-0 in TAPPS 1-5A play. "Kind of a weird game for our group, some of the best possession of the season and then lost the ideas and movements in the second half but we have to give credit to Liberty as they were determined to get themselves back in the game," commented head coach Jay Fitzgerald. Any win is good to get in TAPPS 1-5A, the strongest district TAPPS and one of the strongest on any public or private district in the state. The Lady Vikings will take on #13 Coppell in the Allison Horn Memorial Showcase on Thursday at 8pm at Mustang-Panther Stadium. The showcase continues through Saturday with matches against Lewisville on Friday and Colleyville Heritage on Saturday. The championship is Saturday evening at 5:00pm. The National Elite Prep Showcase often had a play in determining the national No. 1 ranking. This year, the results simply go to show the strength and depth of California — and sway the FAB 50 No. 1 race toward the West Coast. The Lady Vikings are currently 8-1-1 overall and 3-1-0 in district play. Following tonight's match the lady Vikings prepare for the Allison Horn Memorial Showcase starting on Thursday with an 8pm match against Coppell. The showcase continues through Saturday with the tournament championship match at 5:00pm. The Nolan Catholic Women's Soccer Program hosted the nations top high school girls showcase,the National Elite Prep Showcase this past week. In 48 hours the NEPS saw cold, rain, thunder, drizzle, wind, fog and then the final day, it was a breezy, 80 degrees and sunny. The unpredictable Texas weather didn't bother the Lady Vikings as the varsity and junior varsity went undefeated with a record of 6-0-1 outscoring opponents 16-4. The varsity saw two South Texas powerhouses and two nationally ranked teams in #22 Westview from San Diego and #5 from Flower Mound. The 4 games in 48 hours proved to be a grind for the Lady Vikings. "We showed we have tremendous depth in our program this weekend, " said head coach Jay Fitzgerald. Day 1 the varsity defeated Round Rock from Austin, in an end to end 3-2 finish. Gwennie Puente scored 2 goals and Emily Keoughan scored the game-winner. The JV is in its third year competing at the GCISD JV Invitational hosted by Grapevine High School. The JV also set the tone with a win on Day 1. A 2-0 shutout win over host Grapevine was a nice way to start the event. Goals were scored by Savanah Melch and Katie Ripple. Conditions didn't get much better on Day 2 as the rain was steady throughout the majority of the day but at the end of the day both teams remained undefeated. While Emily Keoughan put two past Georgetown, her 2nd being the game-winner, Puente added another. Just 4 hours later the Lady Vikings had to take the field again, against NEPS newcomer, from San Diego, CA, Westview, ranked #22 in the country. After going down a goal early, the varsity fought back to even the score on another Gwennie Puente goal. Fitzgerald commented,"We stayed physical, stayed committed to our system, and never switched off." The JV kicked off their 2nd game in two days against Southlake Carroll; Koryn Brookshire and Hannah Reeves made sure LVS stayed perfect on the week as they defeated the Dragons 2-0. Following a cold Thursday and Friday, players faced near 80-degree temperatures Saturday with sun beating down on their already tired legs. The JV completed the sweep of the GCISD Invitational on Day 3 with a dramatic 3-1 win over Keller. Marissa Baldasti got LVS on the board early in the first half but with the score even at 1 with 30 seconds to go in the match, Savanah Melch slipped a ball in behind, with Baldasti already in full stride, and it was over from there. With a 2-1 lead and in the final seconds, Kat Paul took the ball off the kick-off ran at goal and smashed it top corner just seconds before the final whistle, for a 3-1 win. Ice bathes, pasta, Gatorade, protein shakes throughout the week....provided the varsity with the energy and fuel they needed to take down the nations #5 team, Flower Mound. Katy Hirschfeld took a ball in the center circle and slipped it through to Gwennie Puente for her 17th goal of the season and Omar Rodenbaugh scored her first varsity goal to add an insurance goal late in the game. "We are in a very good place right now with our program. We played with a lot of grit but because we took care of the ball, we were able to have a good rhythm to things," Fitzgerald said. The JV is idol this week. The varsity will take on Liberty Christian at home in their fifth district game of the year tomorrow night at 6:00pm. The Allison Horn Memorial Showcase hosted by Colleyville Heritage starts on Thursday and Coppell, Lewisville, and Colleyville Heritage are in the Lady Vikings bracket. 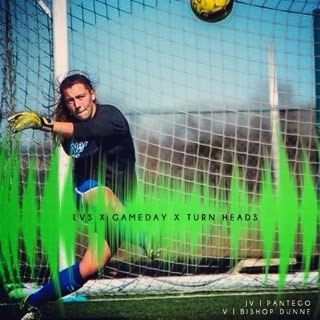 Another gameday at LVS sees another pair of wins for the Lady Vikings Soccer Program. The varsity kicked off the day with a win against South Texas high school powerhouse, Round Rock, 3-2 on a pair of goals by Gwennie Puente and a game-winning goal from freshman, Emily Keoughan. For more information on the National Elite Prep Showcase CLICK HERE. The JV traveled to the GCISD Invitational and defeated, host, Grapevine 2-0 with goals by Savanah Melch and Katie Ripple. The fun continues tomorrow with the varsity playing a double-header against Georgetown (2pm at Doskocil Stadium) and then a nightcap against Westview High School from San Diego, California (8pm at Doskocil Stadium), who defeated McKinney Boyd tonight 1-0. The JV will take on Southlake Carroll at Grapevine Middle School Stadium at 7:30pm. 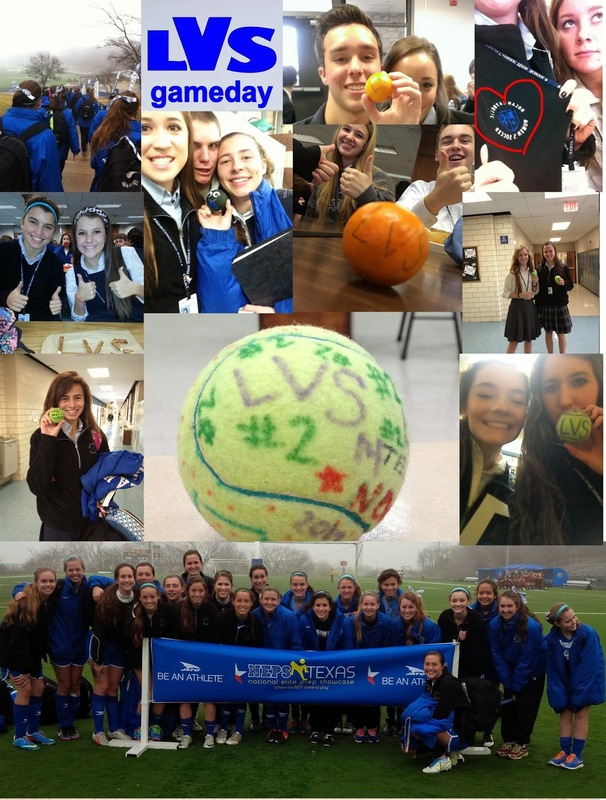 Lets see your #lvsgameday flavor!!! The Lady Vikings continued their winning ways with a 6-0 district win over Plano Prestonwood, improving to 5-1-0 on the season. The Lady Vikings have spread the scoring out pretty much all year but tonight Katy Hirschfeld and Emily Keoughan each doubled up with 2 goals a piece. Gwennie Puente scored her 12th goal of the season and Sarah Brown scored her first. "We didn't start the game off as well as I expected but we definitely progressed as the match went on," said head coach, Jay Fitzgerald. Fitzgerald continued to say, "We challenged them at halftime and they responded." Goals came from different areas of the field as the Lady Vikings were able to build the ball showing much more patience after winning it back. The next district game isn't for a week but the National Elite Prep Showcase comes first. The nations top showcase event is hosted by Nolan Catholic. This invitation only event, formerly the Nolan Showcase, pits the best teams in the country against each other. The Lady Vikings will be taking on the nations #5 and #22 teams in Flower Mound and California's, Westview from San Diego. 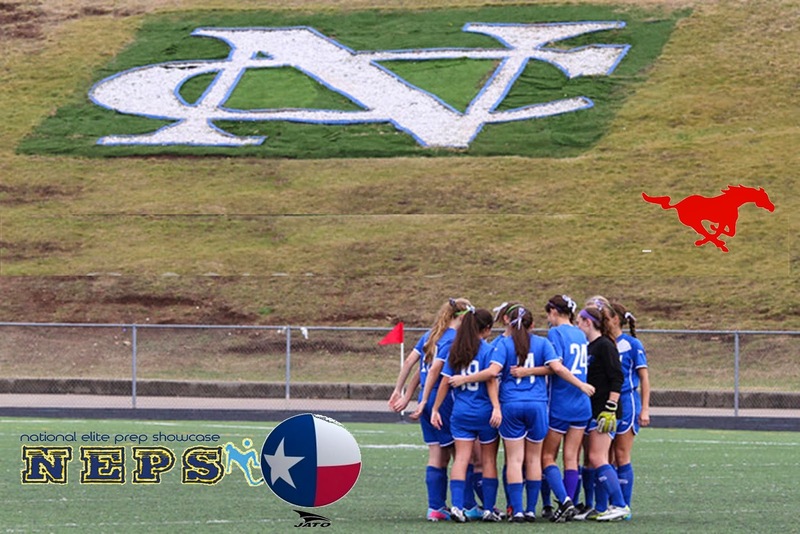 The NEPS kicks off on Thursday at Nolan Catholic, Gateway Park Turf, and Dragon Stadium. Nolan starts with Round Rock on Thursday at 1:00pm at Doskocil Stadium. The varsity team will host Prestonwood tomorrow afternoon at 4:30pm. The kick-off was moved up from 7:00pm. The JV will travel to Hockaday on Tuesday for a 5:00pm kick-off. The National Elite Prep Showcase begins on Thursday. The Lady Vikings kick off the event against Round Rock at 1:00pm. The JV will play in the GCISD JV Invitational and will take on Grapevine at 5:30pm at Grapevine Middle School Stadium.